Visiting local artists’ exhibition on a sunny cold afternoon. What is Autumn to you? 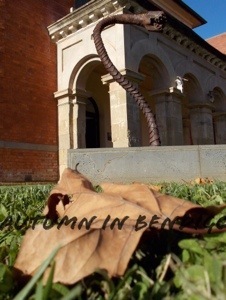 This entry was posted on May 8, 2014 by sharongreenaway in art and tagged art, autumn, bendigo, brown, Dudley.house, leaf, sculpture, Sharon Greenaway.